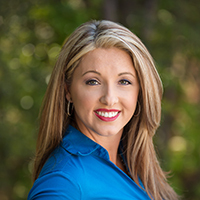 "Dr. Kunz is a very caring, focused, experienced, and knowledgeable doctor. He answers all of my health questions clearly, but he is also interested in getting to know me as an individual. I trust him implicitly to make wise recommendations on my health issues." We are not a “Doc-in-a-Box”. We take time to listen. We are a Family Practice focused on “Whole health for your whole family.” Our desire is to look at the “whole person”, paying attention both to acute and chronic medical needs, while always looking at the big picture. In this way, we are often able to help patients in areas where no one has been able to help before. Our motto: “We try to think about everything, on everybody, every time.” The better we know you and you know us, the more likely we will be able to diagnose and address problems that might otherwise be overlooked. You might have to wait a little longer for your appointment, but your concerns will be heard and addressed. We strive to be worth the wait. During his pre-medical academic years, Dr. Kunz studied extensively in Religion and Philosophy and has continued to do so his whole life. From this perspective, he has formulated a view of total health that is more than just absence of medical disease. Healthcare, therefore, is more than the curing and prevention of physical illness. Wellness is the optimal functioning of the whole person, body, soul, and spirit. In this view, a person with very poor physical resources (a paralytic, a terminal patient) can still function in a state of wellness, the optimal function of the whole person. And a person with perfect physical gifts may be un-well, by living in an unhealthy mental and spiritual way. Dr. Kunz and his staff seek to be helpers and resources to facilitate the total health of their patients. All patients are seen by appointment, with same-day appointments available for acute needs. Walk-ins will be seen on an availability basis. Dr. Kunz has been a presence in Gwinnett County medicine for over 25 years. He opened Duluth Family Practice and Wellness in 1988 in a small renovated house near the corner of Meadow Lane and GA Hwy 120 demonstrating a commitment to wellness and preventive medicine from the very start. Quickly outgrowing this space (and our second office), the practice moved in 1995 to its current location on the corner of Lebanon Road and Hwy 120. 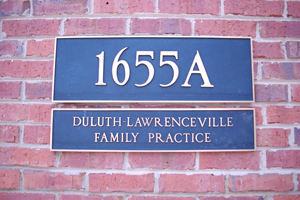 Taking the new name of Duluth/Lawrenceville Family Practice (for obvious geographical reasons), the practice continued to grow, incorporating under the new name, Perisseia Physicians, LLC, in 1998. 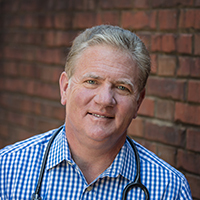 With a continuing emphasis on Wellness and Preventive Medicine, Perisseia Primary Care and Wellness endeavors to improve both the scope and quality of its offerings to the community, constantly seeking to develop and implement the most comprehensive suite of outpatient diagnostic and treatment services to be found anywhere in Atlanta at the primary care level. See our Services web pages for a description of some these.